The tempest of time once again swept over Bai Xiaochun and the Mortal Renegade, this time in even more majestic fashion than before. When it cleared, the two of them were some distance away from each other. And instead of immediately lunging toward Bai Xiaochun like he had in the past, the Mortal Renegade looked around in surprise. Bai Xiaochun could also sense something astonishing, and looked around with wide eyes! Some distance away in the starry sky was an immense vortex, vastly larger than the Mortal Renegade’s previous enormous giant form. Within that swirling vortex was a strange aura that was not of the Eternal World!! Even more shocking was that, as Bai Xiaochun looked over, he clearly saw an ancient, decrepit battleship, seemingly struggling to emerge from the vortex!! Bai Xiaochun recognized that battleship! It was the very same one he had seen in the valley of the black clouds in the Immortal World! This was… that very same ship that was filled with a boundless sensation of death! “That’s….” Bai Xiaochun was so shaken that he almost let out a howl of grief at how bad his luck was. He could accept that he ended up going right back to the moment when the Mortal Renegade appeared above the Eternal Flower. But how could he have gone right back to when this battleship appeared? “The Mortal Renegade inherited his Dao, right…?” he thought, shivering. His first thought was that he needed to shift time again; after all, it would be horrible if he reacted too slowly, and the Mortal Renegade gained some enlightenment from this situation. But then, at the last minute, his eyes flickered, and he looked back at the vortex. “What if this is the advantage I’ve been looking for?” He hesitated, not quite willing to flee right off the bat. After all, he had shifted time enough to realize that this was a very unique and strange situation. “Maybe I can find some weakness in the Mortal Renegade’s Dao?” Eyes flickering, he decided to watch for a bit longer, and if anything unexpected happened, to flee immediately. Even as he considered these things, intense rumbling sounds could be heard from within the vortex. The ancient battleship struggled, pulling even further out into the open, and revealing an old man sitting on the prow, clad in a black robe! His face was completely expressionless, and a wound could be seen on his forehead. However, no blood could be seen; clearly, the wound had long since healed. It was a strange sight. After all, the corpse Bai Xiaochun had seen in the valley of the black clouds also had a wound, but an unhealed one. Off to the side, the Mortal Renegade was visibly shaken, and his eyes were shining with brilliant light. Things only seemed to be getting stranger by the moment, even more so considering that, as the battleship struggled to emerge from the vortex, Bai Xiaochun could clearly sense an aura that was not that of the Eternal World. At this point, he decided that he shouldn’t keep watching. But before he could shift time again, a muffled rumbling sound emerged from the vortex, as though there were something on the other side of it, getting closer and closer to the actual opening. At that point, the eyes of the old man on the battleship blazed as if with fire, and he threw his hands out in front of him. Instantly, the battleship ignited, causing powerful fluctuations to roll out as it shot out from the vortex to appear within the Eternal World. In that same instant, a muffled howl could be heard from the other side of the vortex. The vortex trembled, and then a huge finger emerged from within it, shooting into the Eternal World as if to pursue the old man on the battleship. Bai Xiaochun looked on with wide eyes, his heart pounding. Moments ago, he had sensed the same mysterious energy that he had sensed when becoming a sovereign. It was that exact same energy… which had destroyed the encroaching finger attack! Even as Bai Xiaochun reeled in shock, the voice on the other side of the vortex spoke with incredulity and shock. As the voice trailed off, the old man on the battleship turned and looked at the vortex. Eyes blazing, he laughed. “This place was jointly sealed by the Immortal, the God, the Devil, the Demon, and the Ghost. This is the Eternal Spirit World, the legendary home of Allheaven! “I will either be reborn here, undo what happened in the Vast Expanse, and slaughter every living being in your Never-Ending Dao Domain. Or… based on my Dao, I will help the Eternal Spirit World fulfill its purpose, by making sure another Allheaven comes into being. Then, that which lies beyond can finally be opened again!” When the final words left his mouth, the old man threw his head back and laughed uproariously. Even as he did, that mysterious energy appeared again and swept over him and his battleship…. Instantly, the battleship corroded, and every physical aspect of it that did not conform to the Eternal World withered in an instant. As for the old man, his laughter faded away as his flesh and blood vanished…. The only thing left behind was a desiccated corpse, still with a wound on its forehead, there to remain for all eternity…. And then the battleship continued to drift soundlessly through the starry sky…. There was no response from the other side of the vortex, only ragged, shocked breathing. 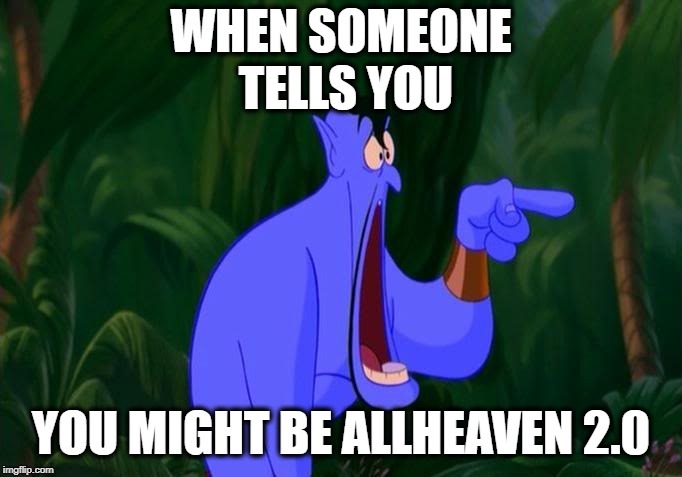 Apparently, the owner of that voice was completely terrified of the so-called Eternal Spirit World, the home of Allheaven. Then, the mysterious energy moved on to the vortex, and as Bai Xiaochun looked on, destroyed it, wiping it completely out of existence. “That power….” he murmured, his heart pounding, not only due to the events of the past he had just witnessed, but of that mysterious energy which could shake heaven and earth to the point where ghosts and gods wept! “Am I dealing with the Mortal Renegade… or that old man?” Unsure of what to think, he was just about to say something upsetting in the hopes of getting his opponent to talk. However, even as he did, the area that had just been wiped clean by the mysterious energy, and had sunken in as a result, suddenly bulged visibly! A roar of rage suddenly echoed out, and within that bulge in the starry sky, the outline of a face became visible! It was almost as if the starry sky had become a thin membrane separating the Eternal Spirit World from some other mysterious, unknown location! Within that mysterious location was an almighty figure who was trying to break that membrane, but was failing. However, as a result, that person’s face became visible! Not only was Bai Xiaochun shocked, but the Mortal Renegade also turned around in surprise to look at what was happening. Moments later, a strange look appeared in Bai Xiaochun’s eyes. He wasn’t sure if the Mortal Renegade could detect the mysterious energy that existed within the starry sky, but he could. And yet again, it had appeared, surrounding the face, almost as if it had been waiting for it…. He watched as the face struggled, until finally, a small vortex appeared, which rapidly grew larger, piercing through the starry sky, connecting the Eternal Spirit World and its starry sky to that unknown location beyond!